D.Brand is a fashion lifestyle brand from Sweden which consists of 4 divisions for both men and women: denim, sports fashion, outerwear, and fragrances. It’s one of the fastest growing contemporary brands in Sweden with an incredible 500% growth from fall/winter of 2010 to fall/winter 2011. Their denim line was first produced as an alternative to overpriced designer jeans –giving customers quality and affordability. I had the amazing opportunity to receive their Eskimo down jacket in white, which is made up of 90% down and 10% duck feathers. It’s wind and waterproof and it’s so perfect for the wintertime. 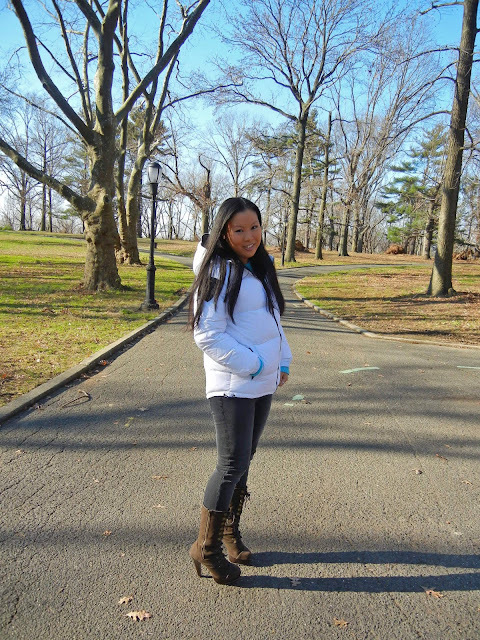 I have been wearing it often with the colder weather now – most recently to the park nearby, taking a stroll. It’s also not too poofy, which I like. I haven’t worn a puffy jacket since I was a kid so it reminds me of my younger days in a much chicer way. It definitely kept me warm and toasty! I’m also wearing their popular denim jeans, particularly the slim fit distressed jeans in black. It’s stretchy and so comfortable. 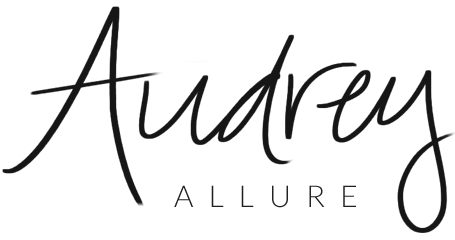 You can follow D.Brand on Facebook, tumblr, Instagram, or Twitter & you can use promo code: AUDREY to get 30% off your purchase! Sounds like a great brand. The jacket looks so cool and so warm. You look stylishly warm sweetpea! I can imagine a brand that hails from Sweden will have great outerwear! I have the same one in black! Oh my god, best buy ever. I get tons of compliments and feel so cute in it! Hi Audrey, just bought it on their website great price!!!!!!! Love the jeans I bought not long ago and wear them all the time! 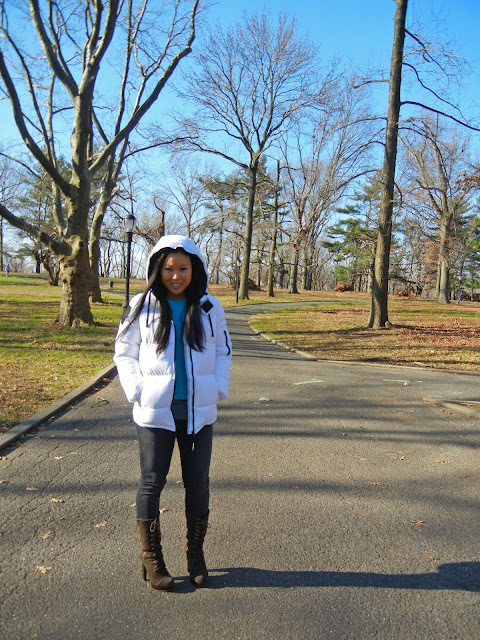 I love that white puffer jacket, it looks so comfy! ohhh love! your stiletto boots are super cute! for my comment form? ӏ'm using the same blog platform as yours and I'm having рroblems fіnding one? lurv the way you look babes, hot!!! the white puffer looks perfect! I would totally wear this! Something about the crisp white is so pretty! warm & stylish! Love it!! Adore this jacket, it looks so warm and cozy and very stylish too. Hadn't heard of this brand before, thanks for the intro. Sure looks warm. Perfect look for winter! I will check their website, I love those jeans! Aww you look lovely and very cozy! love the jacket. Really looks great on you. You are so adorable! And, I love that coat, it is such a pretty color, and I'm with Cafe Fashionista, the boots rock! Thank you so much for stopping by and commenting the other day! If you are ever interested, you are welcome to guest blog anytime! Have a wonderful day & Happy Holidays! this is such a lovely jacket! white jacket & boots are amazing! That coat looks so cozy – loving it with the jeans and boots! You look comfy and cozy, you really do! What a great cozy jacket! 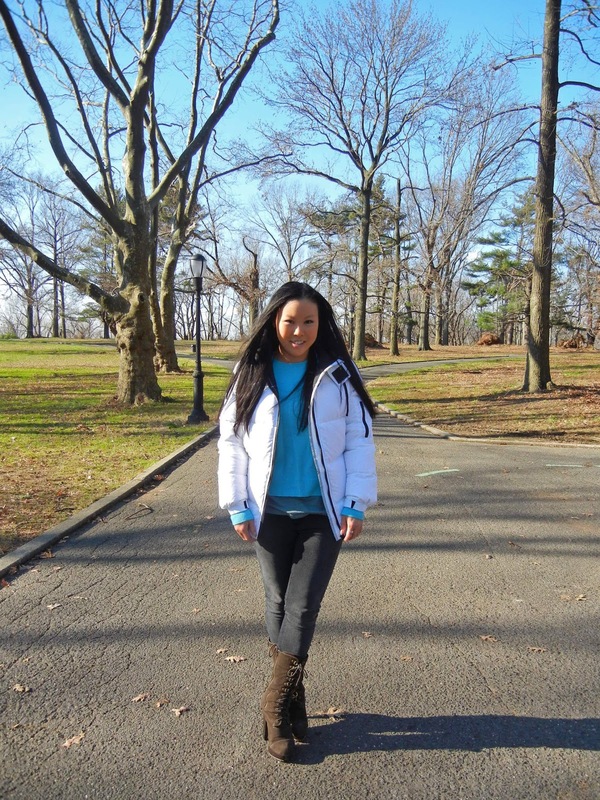 Im kind of crazy about puffy coats, because it gets too cold not to love them! Your is nice is that great shade of winter white! I think white coats are lovely but also impractical... the fabric of your coat makes it a winner honestly! Its been so good to visit your blog, perhaps you could visit mine too? It's very lovely, I really like this style of coat especially in white and I always think there is something really cool about things from Sweden. Sounds like a great brand, I need to check it out :) Thanks for the tip! Your stuff looks great as well! Great and also warm looking jacket girl !! Love the jacket, it seems super cozy! Cool boots. You look so warm and comfortable! I do like d.brand. Thanks for sharing this look with us! That is such a cute and cozy look! Love your hair as well! Ahhh, I love this jacket!! !